It happens to the best of us—we’ve left someone off our list, we need to pick up a last minute hostess gift, we forgot about getting our friend’s kid a little something to open. Or maybe we have just procrastinated too long and haven’t even begun shopping. Sound familiar? Don’t panic! 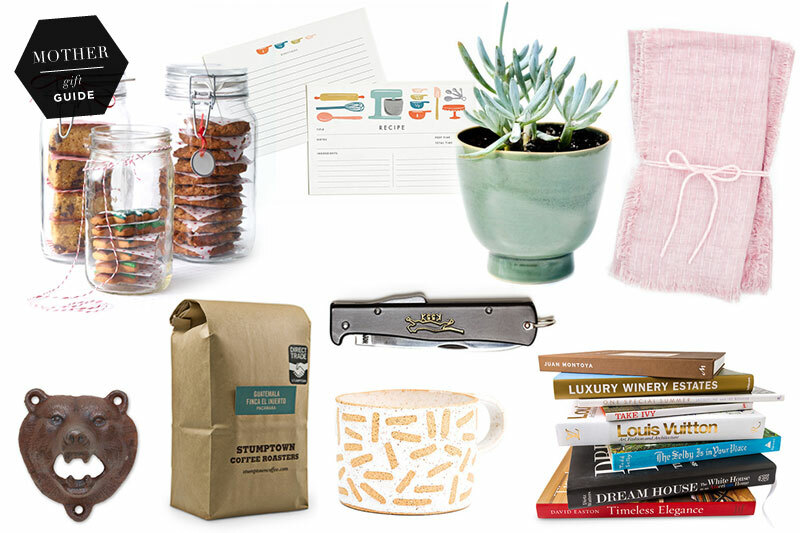 There’s still time to hit your local stores to pick up some thoughtful gifts in a pinch. 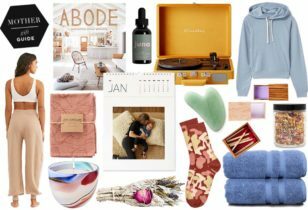 Check out our list of last minute gift ideas below, so you can stop worrying and start wrapping! Gift cards: While gift cards may not be the most personal gift you can give, they sure are appreciated, especially when it comes to gifting your nieces or nephews, your friend’s school-aged kid, or a picky teenager. Let them choose their own gift! Barnes & Noble is a great place for littles, so they can pick out a book or two that interests them. Starbucks and Urban Outfitters are perfect for the quirky teens and 20-somethings, J. Crew for the fashionistas and dapper guys, a mani/pedi voucher for your best gal pal, or treat a couple to a nice meal from their favorite restaurant. Gift a class: There are all sorts of fun and creative classes one can take. From cooking lessons to pottery class, gift someone you love with a weekly experience that is both fun and educational. Recipe exchange: Ask each of your friends to share a treasured recipe from their arsenal. Once you have received all of them, print each one on index or recipe cards and store them in a chic recipe box and give to each of your friends who contributed. Talk about a personal and useful present! A helping hand: Let a loved one relax with maid service for a day. Who doesn’t want to ring in the new year with a clean house?! This is one gift that will be greatly appreciated! A magazine subscription: Even with the internet at our finger tips, it’s nice to have a food magazine in hand to flip through. Popular ones include: National Geographic, Real Simple, Fitness, Rolling Stone, Vogue, and ESPN. 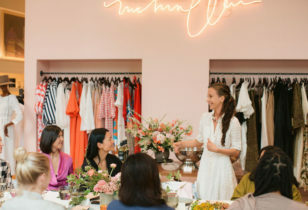 Subscription services: There are a lot of cool companies that you can subscribe to, that send out products each month, customized for the person’s interests and hobbies. BirchBox is a great one for both men and women. Plated is great for foodies who like to eat more than they like to cook! There’s Zagat Wine Club for vinos. 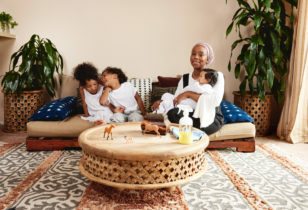 The Honest Company for organic home, body, and baby products. Peggonista Box for those expecting. Batch for a taste of the city and local goods. Julep Maven for all the nail polish a girl could ever want, and FabFitFun for healthnuts and New Years resolutioners. Gift a massage: The gift of massage is always (always!) a wonderful gift for anyone who needs to relax or could use some “me time.” Places like Massage Envy offer gift cards to their locations throughout the US. A homemade coupon book: If you’re wanting a gift that’s a little more personal, or you’re trying to budget, a coupon book is a great idea. Simply buy a mini notebook, or make your own, and designate each page of the book to one coupon, good for “One Hour Massage,” “Breakfast In Bed,” “Candle Lit Dinner and Wine,” etc. For the kids: “One Trip To The Toy Store ($20 Value),” “One Sleepover With Pizza Night,” or “Ice Cream Trip.” The options are endless! A gift basket: Create a gift basket based on their interests. If he’s into tools, go to Home Depot and create a fun and useful tool basket. 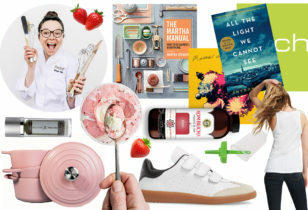 If she’s an aspiring chef, head to Target or Williams Sonoma and pick up a pretty apron, cookbook, and a nice set of essential kitchen gadgets. Every woman loves beauty products, and Sephora is the perfect place to load up on everything from makeup to skincare. Here are more tips on how to build a killer gift basket. A nice bottle: A bottle of wine with a nice bottle opener, their favorite whiskey and sipping stones, or case of imported beer with a cool wall opener are all great and useful gifts for the holidays. Baked goods: A mason jar full of freshly baked cookies (made with love), or a mix in a jar (for aspiring bakers), is a wonderful present. Not into cookies or dessert? Throw in hot cocoa with homemade marshmallows, or a chai latte mix. Tea or coffee: A cute teapot stuffed with various loose leaf teas, a french press, or a pair of cute mugs along with a bag of the giftee’s favorite coffee is sure to please. Textiles: A beautiful throw blanket or a couple of kitchen towels are always a good idea and will last in the home for years. Something fresh: A rad vase filled with beautiful winter flowers, or a long-lasting succulent or house plant in a cool hanging pot is both thoughtful and can liven a loved one’s living space. Coffee table books: An oversized book filled with interesting information and stunning photos is a staple in almost everyone’s home and can easily be found at your local Barnes & Noble or Target in a flash. A pocket knife: Pocket knives are a must for any man and always come in handy. Pair it with a nice bandana for a perfect gift.